We believe businesses have a responsibility to improve their communities. One way retailers do this is by inviting shoppers to support charitable causes at the checkout counter. We're building a better charity checkout platform using AI-based personalization. Our system asks the lady grabbing dog food to donate to the animal shelter, the man refilling medication to give to research for a cure. This personalized engagement boosts brands and differentiates the retailer as a business that cares. 1 Our technology outperformed standard charity checkout by tripling the donation rate from 8% to 25% in beta testing across 5 stores. 2 Team has two successful startup exits and a CEO with fundraising expertise. 3 Partnerships with major FinTech players such as Verifone, Ingenico, First Data, and Worldpay. 4 Positioned to be first to market in the U.S. after the business model was proven in Europe. 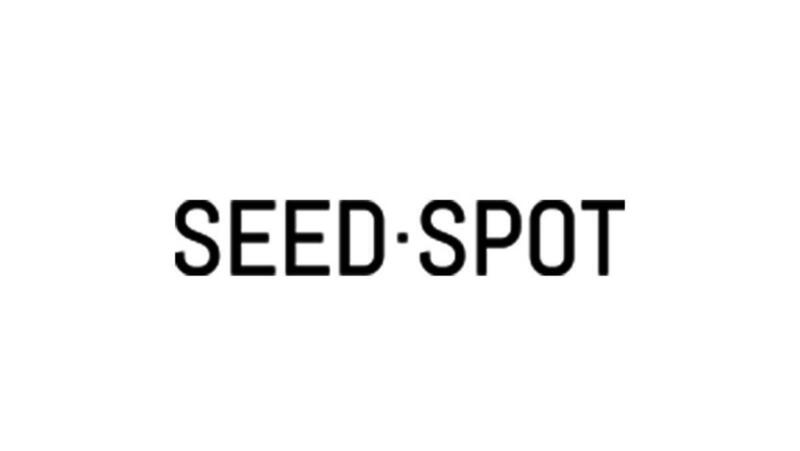 5 Completed SEED SPOT's top-ranked incubator and received $100,000 of AWS credits to minimize upfront costs. 6 Prior to Parvenu, our founder, Patrick, ranked among the top fundraisers in the nation for The Nature Conservancy and Save the Children. 7 Patrick is the Amazon best-selling strategy author of Road of the King. 8 Our technology is proprietary under a provisional patent. 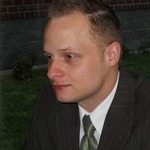 I have a background in technology consulting with a focus on Software as a Service. Serial entrepreneur with 2 successful acquisitions. Angel investor for 5 years. Part time. 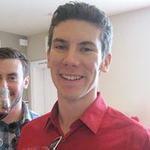 Lead engineer in multi-million dollar projects in oil and gas, including work in machine learning. 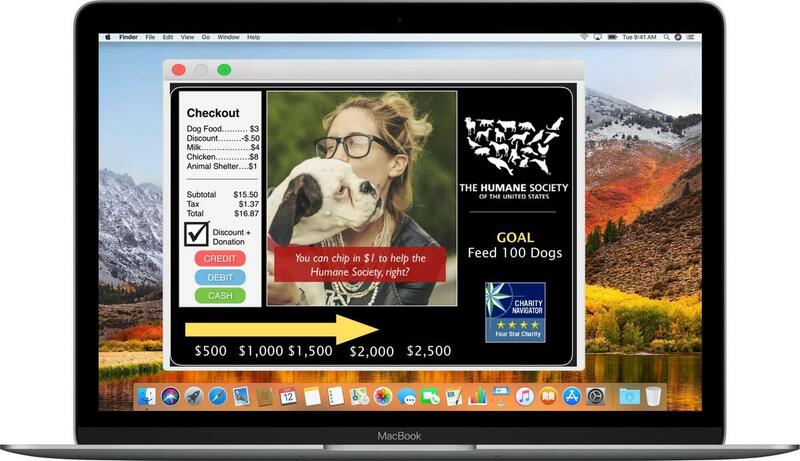 AI-powered fundraising is a stroke of genius - it boosts customer participation for worthy causes without disrupting the checkout process - a total game changer! When you think of technology that changes society, you realize that an idea like Parvenu is not only such a technology, but it's one you wish you had thought of. Honestly, I can no longer imagine a future where AI checkout doesn’t exist. I honestly don't know anyone who would ever bet on Patrick Hoban losing, so naturally I think everyone would be wise to invest in his new business. Jack of all trades engineer and hobbyist. The 2016 Yu-Gi-Oh North American National Champion, the 2015 YCS Dallas champion, and the #1 ranked Imaginary Yu-Gi-Oh player in the world. 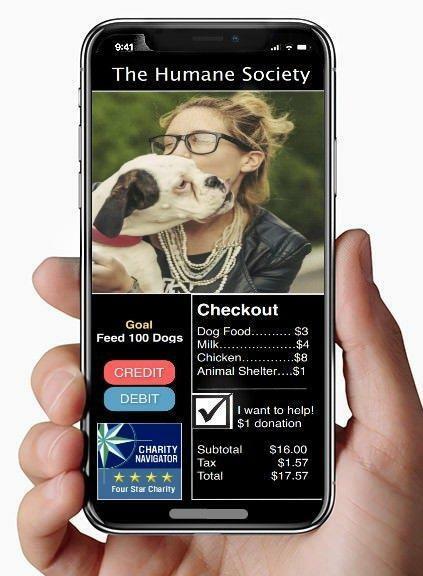 If you've ever been awkwardly asked to donate money to a charity at a checkout counter, right after handing over money to that retail store, there is a startup that wants to fix the interaction. 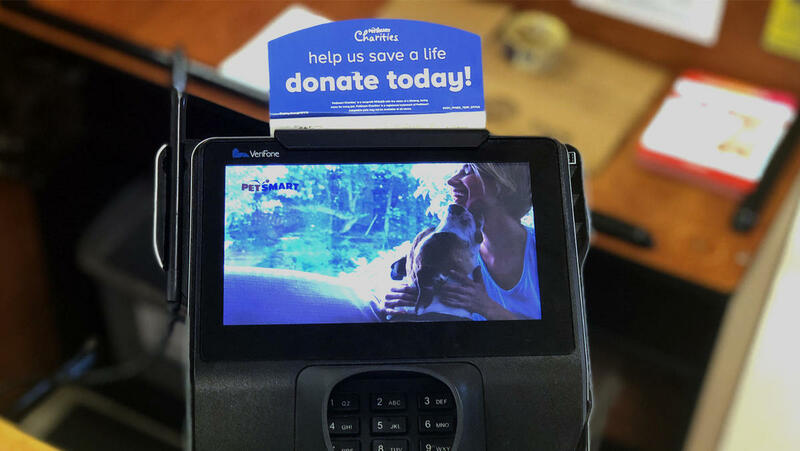 When customers check out at retail stores, a screen sometimes pops up, prompting a charitable donation. In 2016 alone, such "charity checkout" campaigns raised more than $441 million. But what if those charitable asks were smarter? What if when you bought dog food you were prompted to donate to an animal shelter, rather than, say, the Salvation Army? Retail options for in-store, online, and mobile are growing. Shoppers expect personalized engagement across all channels in exchange for brand loyalty, but many traditional retailers failed to create personalized engagement as well as their e-commerce competitors. In 2017, almost 7,000 brick-and-mortar retail stores shut down. Meanwhile, Amazon has a market cap $179 billion higher than the next five retailers combined. As a result, in-store consumers expect a more personal experience than retailers have traditionally provided. More than 80% of shoppers want personalization and expect details and offers tailored to them. Personalized content can increase overall sales by as much as 10%, and retailers see a 5-8x ROI on personalization spending. Retailers demonstrate their brand's values to shoppers by helping the local community in a variety of different ways. A grocery store might ask shoppers to round up their purchase as a donation to an aligned cause such as a hunger charity. While storefront brands traditionally raise money for a single nonprofit, AmazonSmile excels at personalization by fundraising for nearly 1 million nonprofits. All too often, shoppers won't donate without feeling a personal connection to the cause. In addition, checkout campaigns have high overhead and low transparency. Walmart gave grants of $1 million or more to 49 different nonprofits in 2015 alone, but until now, technology has limited their checkout fundraisers to only Children's Miracle Network Hospitals. The #1 reason shoppers don't donate at checkout is not knowing where their money is going. Walgreen's Red Nose Campaign has shoppers purchase a nose for $1, but only $.50 goes to helping children in poverty. Parvenu's platform benefits retailers, shoppers, and nonprofits. 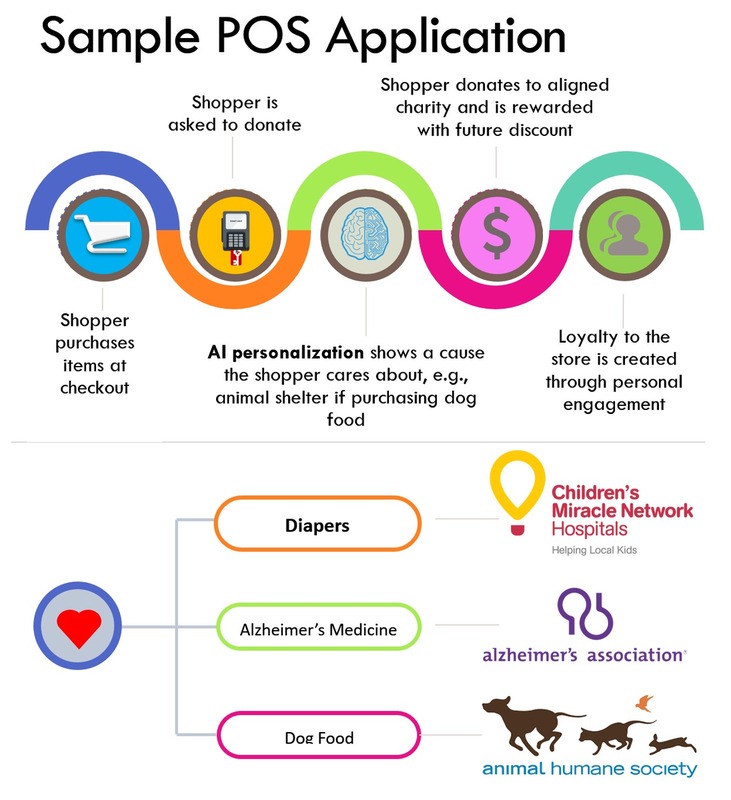 Our patent-pending technology asks the mom getting diapers to give to the children’s hunger charity, the lady behind her grabbing dog food to donate to the local animal shelter, and the man refilling his dad’s medicine to donate to research for a cure. Shoppers are rewarded for donating with discounts on future purchases. This personalized engagement increases sales and builds brand loyalty, which empowers the retailer to differentiate themselves as a business that cares about their community. 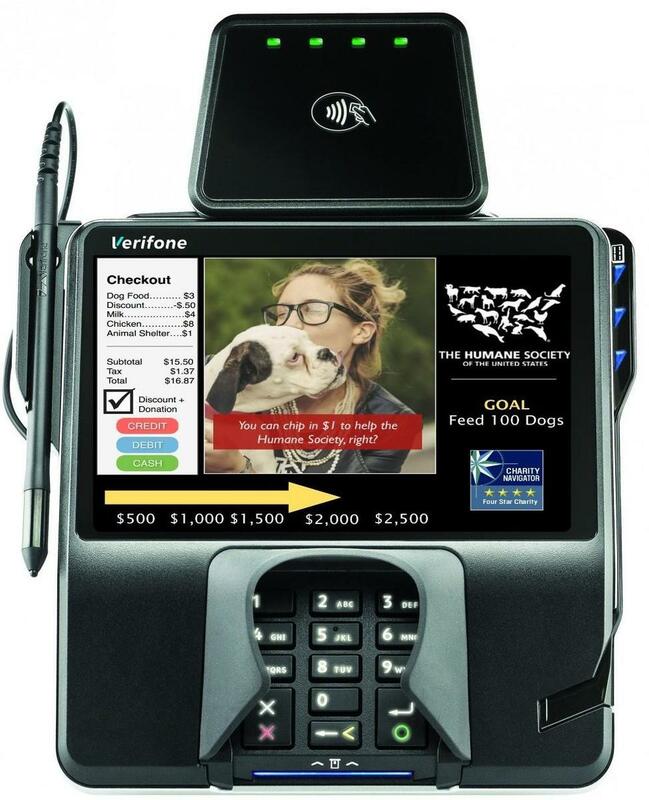 We increase transparency and create engagement with shoppers by offering a beautiful and informative display at checkout that provides the specific project in the local community that benefits from the donation, a progress thermometer so shoppers know how close the project is to its funding goal, and the nonprofit's Charity Navigator ranking. Parvenu's pilot test tripled the success rate of traditional methods by raising the donation rate from 8% to 25% across 5 store locations. Nonprofits that weren't previously displayed at checkout get a new source of donors at a fraction of the cost. Retailers enjoy all the benefits of our platform at no cost to them. We entirely eliminate the traditionally high upfront cost associated with nonprofit fundraising by charging a 10% transaction fee on donations collected. We believe businesses have a responsibility to improve the communities they serve. These communities are all too often underserved, and charities are left to fill the void. I’m an experienced fundraiser after raising hundreds of thousands of dollars for incredible and innovative organizations like Save the Children and The Nature Conservancy. I know donors are concerned about how much of their money is going to the cause, who their donation directly benefits, and most importantly, that they share a personal connection with the cause. Parvenu operates at the intersection of technology and social impact to raise more money at a fraction of the cost for charities, create true transparency for donors so they know where their money is going, and build brand loyalty for retailers. Walgreen’s Red Nose Campaign asks shoppers to purchase a red nose for $1 to help children in poverty, but only half goes to the cause as only the profits from the nose are donated. Parvenu eliminates this unreasonably high overhead by using technology to let more money go to the people in need rather than using it to manufacture a prop. Donors gain full transparency by being informed of the specific project benefiting from their donation. We raise more dollars by creating personalized engagement and asking people to give to causes they already care about. We’ve got an experienced team that has built and sold multiple companies. 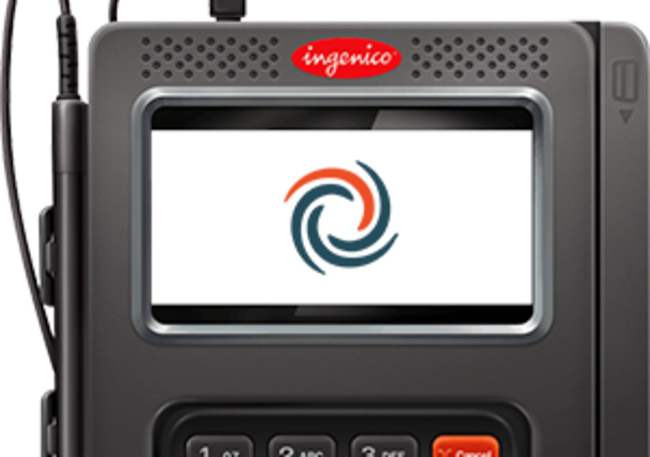 We have payment partnerships with industry leaders like Verifone and Ingenico, who recently released point of sale application marketplaces to provide distribution channels and make integration easy. I invite you to become a part of what we’re doing by investing in our technology. I’m available around the clock to answer your questions in the comment section. Let’s create a culture of giving together! 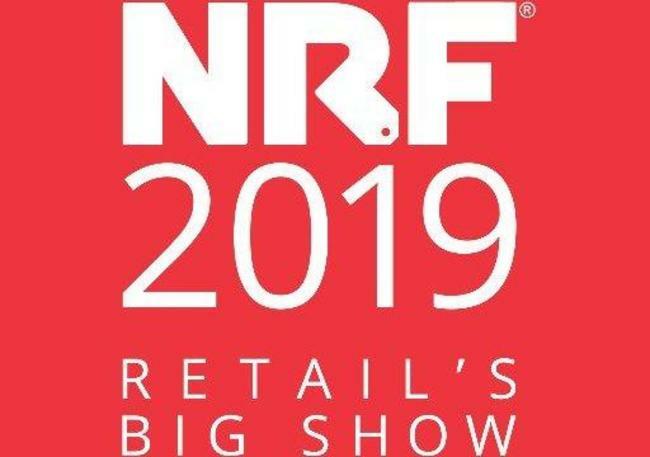 A growing number of security breaches forced the U.S. to implement a "liability shift" that holds retailers accountable for the fraud that occurs in their store if the retailer doesn't upgrade to newer point of sale (POS) systems that provide higher security. These newer POS systems are cloud-enabled and have significantly higher functionality, allowing for innovation at POS for the first time. These regulation changes make innovation affordable and scalable, and they also lower the burden of PCI Compliance by tokenizing sensitive financial data. We can now use APIs to integrate with every POS system, foregoing the expensive process of developing a separate integration for each system individually and allowing us to develop and scale new technology with cost-effectiveness. 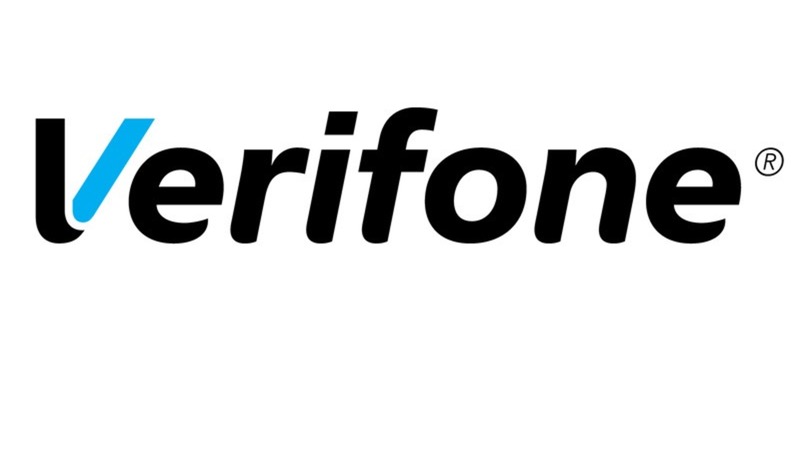 Parvenu has API access to over 75 Verifone payment devices. These new app stores let us reach more retailers faster. Payment partnerships allow us to test with pilot programs. 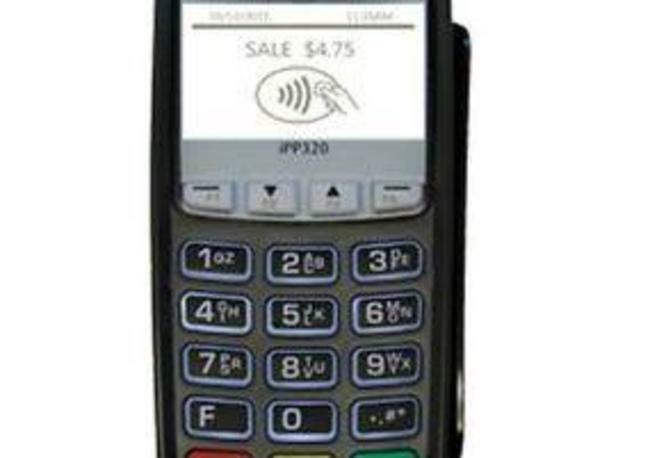 PCI Compliance, security compliance around credit cards payments, used to be cumbersome and expensive. Payment partners make compliance easy. 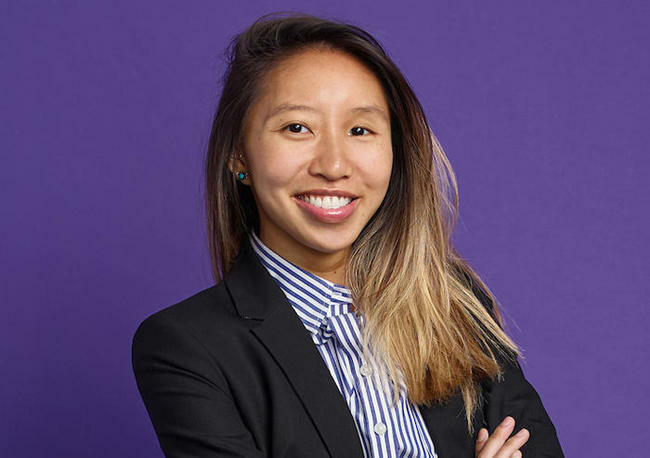 SEED SPOT provides Parvenu with a network of resources, support, connections, and mentors. Parvenu is uniquely positioned to be first to market in the U.S. with a business model that was proven in the UK. The EMV regulation changes that enable APIs at POS happened 6 years earlier in the UK. This early adoption allowed the UK-based nonprofit Pennies to raise over $17 million for more than 300 charities. Pennies API has the back-end payment infrastructure to put a simple nonprofit donation request at checkout and charge a 10% transaction fee, proving the business model's worth to retailers, nonprofits, and shoppers. 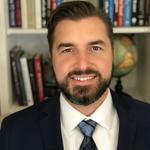 Parvenu's patent-pending technology for personalizing charity checkout will take this successful business model to the next level in a completely untapped market. Our vision is to become an essential component of retail loyalty programs, as our platform engages shoppers in the store, on their mobile devices, and online. By transforming traditional charity donations into crowdfunding at checkout, we can create a culture of giving that transforms routine shopping into a meaningful experience. If successful, this will make us a huge player in a donation crowdfunding market expected to explode to $300 billion by 2025. 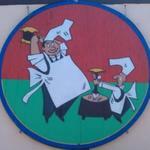 Parvenu’s customers are retail and grocery brands. Our target retailers have high foot traffic, a customer-facing display at checkout, and already align their brand with nonprofits. Examples of target customers include Walmart, CVS, Whole Foods, Amazon, Walgreens, and Kroger. 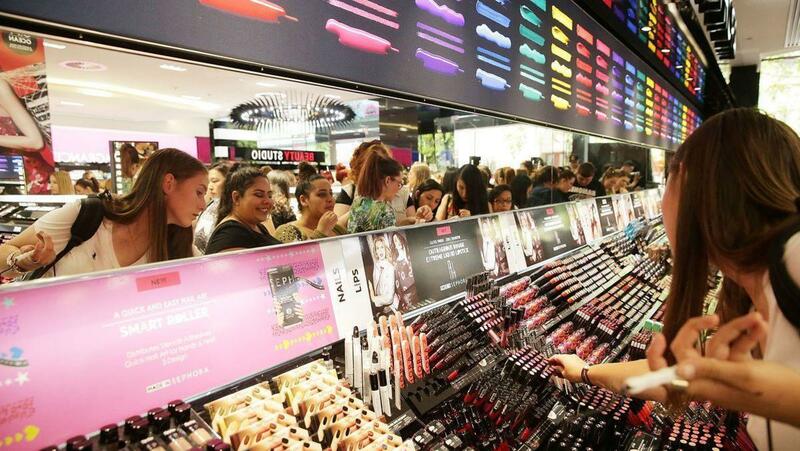 What are the benefits for the retailer? We help retailers build a unified and personalized brand experience by highlighting causes that shoppers care about. With Parvenu’s platform, the retailer enjoys a stronger brand with more loyal shoppers, increased sales, and a means of differentiating themselves from the competition. Parvenu has multiple sales channels to get retailers to use our platform. We will run pilot programs through the various payment partnerships we have already established. We will attend retailer and payment industry trade shows and conferences. Retailers all have a foundation arm, such as Staples and the Staples Foundation, whose focus is on improving the retailer’s community relations. We leverage nonprofits that have existing relationships with retailers, but are not the single nonprofit the retailer currently displays for POS giving campaigns. A relationship where the nonprofit gives us a warm introduction to the retailer is mutually beneficial, as our platform can raise the nonprofit additional funds by collecting donations for them at POS. 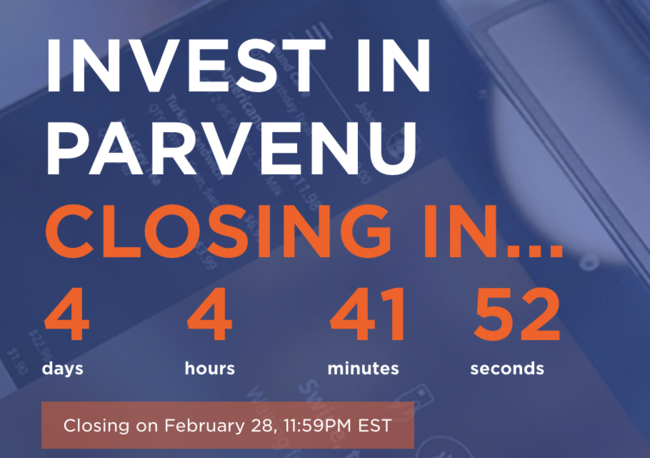 Does Parvenu's platform replace the retailer's existing point of sale software or loyalty program? No, our platform works WITH both their existing point of sale software and loyalty program. How does Parvenu's platform enhance a retailer's existing loyalty program? Parvenu’s platform integrates with the retailer’s existing loyalty programs. Retailers can give shoppers loyalty points or discounts on their next related purchase by making a donation to incentivize them to return. For example, a retailer could offer a shopper a 10% discount on dog food on their next visit if they make a donation to the animal shelter at checkout. Integrating with the retailer's loyalty program allows us to make more accurate predictions when using data across multiple channels and we can provide data-driven insights for retailers on their customer's shopping habits. Besides personalization, how is Parvenu’s platform different from other crowdfunding platforms? Parvenu’s crowdfunding is unique in that we take a B2B approach, with retailers as our distribution channel. 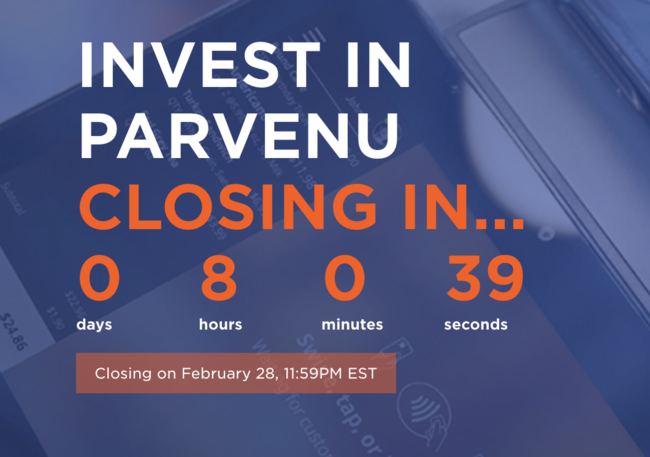 A crowdfunding website is tasked with building a massive audience from scratch, and Parvenu’s crowdfunding platform addresses this fundamental challenge by strategically combining it with distribution channels that already have high foot traffic: retail checkout. How does the technology work? How does AI create personalization? We commonly explain our platform by discussing predictive alignment: matching items like dog food purchases to animal shelters. We know that a Millennial mom cares about different causes than a retired veteran, so we use multiple data points in order to truly personalize the donation request. In addition to types of items being purchased, our platform also uses the number of specific items, total cart size, on-sale vs. premium items, and shopping habits over time if the shopper is part of the retailer’s established loyalty program. These data points help us generate profiles of a shopper’s interests, age, gender, price sensitivity, community engagement levels, and family size to most accurately predict what they care about. AI can pinpoint the needs of a shopper more precisely than any human ever could by analyzing data manually. How have the changes in the payment industry made this newly possible? Recent changes in EMV regulation have enabled third party integrations with payment processors. 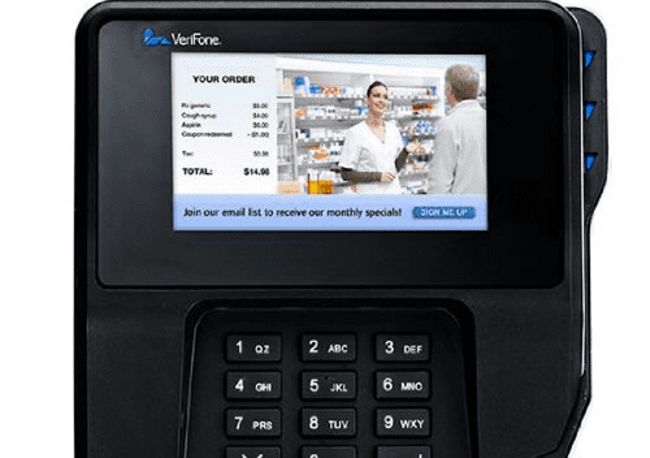 Verifone announced in October 2017 that they would be opening up their app marketplace for such integrations; the marketplace launches this summer. Greater openness is a game changer that enables businesses like ours to thrive; if we had come up with our technology one or two years ago, we would be stuck developing a separate platform for each closed point of sale system. This would have been a costly and cumbersome business model. Now, we will develop our API to integrate at the payment processor level: one-size-fits-all. Payment processors are EVERYWHERE, so the lift on regulations enables us to implement this new technology and scale it quickly. Yes, the provisional patent (US 62/659,309) has been submitted for the design and features of our platform. 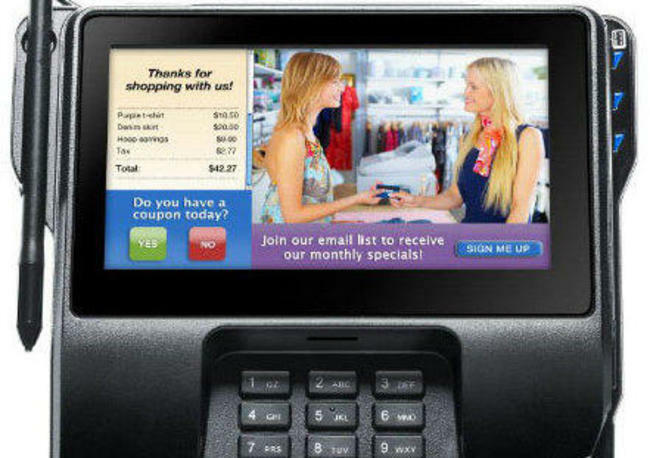 Yes, our platform integrates with in-store, online, and in-app point of sale (POS) systems. 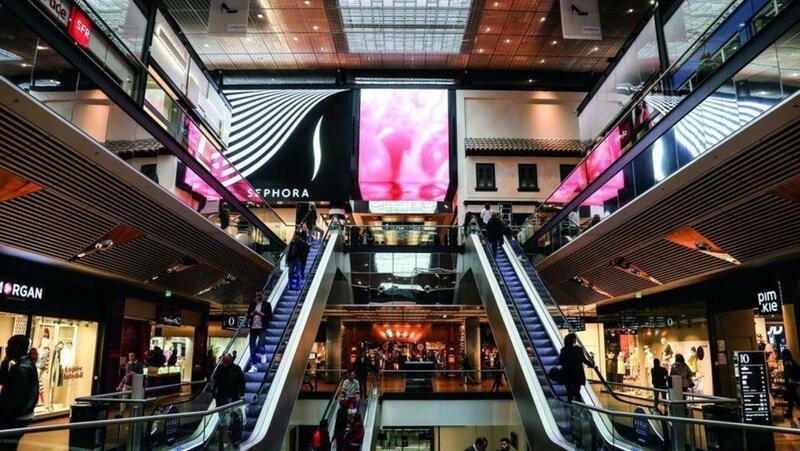 While storefront retail is currently the primary battleground for shoppers, the omni-channel experience is quickly becoming the new standard. Parvenu’s platform stays ahead of the changing landscape of retail by placing a focus on omni-channel functionality. 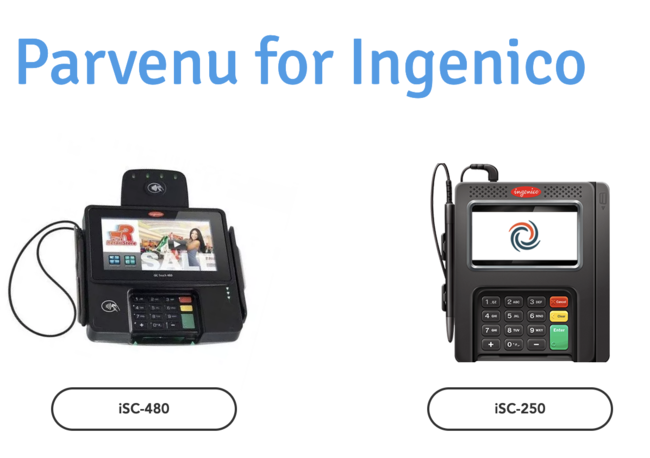 Can Parvenu’s platform integrate with all payment terminals and point of sale (POS) systems? 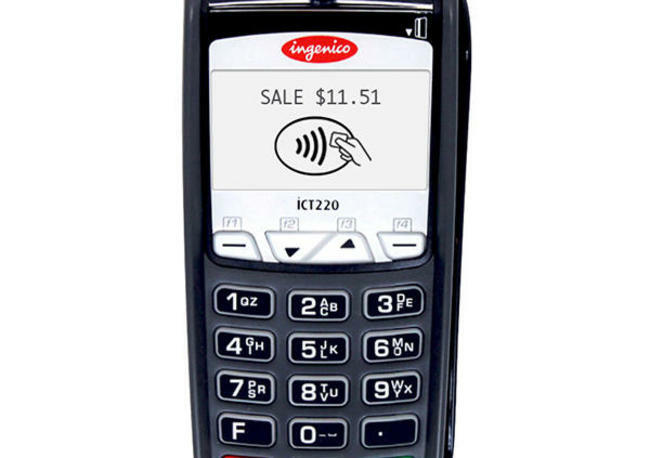 Yes, by taking an API-based approach, we can integrate with any payment terminal or POS system API. Which APIs have you been granted developer access to? We have established relationships and have access to developer APIs with nearly every major payments player; Verifone, Ingenico, Worldpay/Vantiv, First Data, Shopify, Woocommerce, Magento, Square, and Clover. Crowdfunding is a $5B+ industry that is quickly growing to projected $300B in 2025. Total charitable giving totals $390B. We are bringing crowdfunding to the point of sale (POS) giving space, which is currently raises $441M annually. How does Parvenu make money? How does Pennies prove your business model? Like Parvenu, Pennies is an organization that also implements their third-party platform at the retailer’s point of sale, collects charitable donations, and charges a 10% transaction fee on donations collected. Pennies has worked with many retailers to raise over $17 million for charities in the UK. Traditionally, retailers have set up charity checkout, but the trend in retail is toward using third parties to provide shoppers with a better experience. Pennies proves that retailers are willing to use a third-party technology platform to collect donations and charge a transaction fee. Meanwhile, Parvenu is positioned to be the first to market in the US, and we build on their established model by adding what retailers want most; personalization. Typically, if an idea has a proven business model, then that means it's going to face a lot of competition. On the other hand, if it's the first mover, then there is less competition, but at the cost of having an unproven business model. Parvenu is uniquely positioned to have the best of both worlds: we have Pennies as a proven business model, AND we are positioned to be the first movers in the U.S. market. The timing for our technology is perfect! And unlike Pennies, we are for-profit, we are offering a personalized experience, we are operating in a larger market, and we are using AI for all sorts of incredible smart features. We are taking a system that works, bringing it into an unoccupied space, and making it high-tech and supremely scalable! Pre-Check is the new approach to giving that fosters a culture of giving. Rather than ask, “Would you like donate? Yes/No,” Parvenu Pre-Checks the donation box and shoppers can uncheck the box if they don’t want to give. Asking, “Would you like to donate? Yes/No” has an 8% national average success rate and raised $441 million for nonprofits at the checkout counter. We were pretty sure we’d raise more with Pre-Check, but we wanted to know 1) if we make the Pre-Checked box obvious and don’t try and hide it, will it upset people? 2) how much higher than 8% will the success rate be? We started out by testing Pre-Check at a single store for a chain. The test went so well that we expanded it to five locations. Shoppers didn’t mind Pre-Checked donations when we didn’t try to hide it and the success rate went from 8% to 25%, 3x the national average! 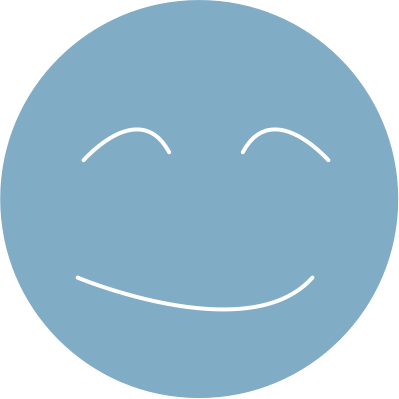 We have adopted the Pre-Check method from organizations such as Kiva, a micro-loan organization with the highest Charity Navigator rating. You don’t have to donate any money to see their version of Pre-Check. Click on “Lend $25” for any cause and then click on “Basket.” Kiva adds an optional donation onto checkout. To remove the donation, users click on the donation and move the slider to adjust the amount to zero. Although we are not making opting out as difficult, Kiva does serve as further proof that our Pre-Check concept works with highly-reputable and top-rated nonprofits. Who are your competitors? How are you different from traditional fundraising? Our competitors are existing fundraising companies. Traditional retail fundraising efforts are low-tech. This limitation has resulted in very low donation rates (8%), and the causes do not give the retailer as impactful of a return on investment. We distinguish ourselves as the first movers to leverage AI in the retail CSR market. Our donation rates are higher (25%+), and our inspired design is geared to build brand alignment between the retailer and the shopper in order to maximize customer retention and ROI. Our advantages extend beyond superior technology in an environment of legacy platforms. We also slash the upfront costs in traditional fundraising methods, creating low barrier to entry for smaller charities. We offer greater transparency and significantly lower overhead compared to CSR efforts like Walgreens’ Red Nose campaign, which loses 50% of the donation to overhead. How does Parvenu handle data? Payment processors encrypt the shopper data into tokens so that we do not collect sensitive information on our end. Our platform interacts with the retail rewards system so that the data is exclusively in the hands of the retailer - not ours. This keeps us from unintentionally committing a breach of privacy. Technological improvements have greatly reduced the scope of PCI compliance; what was formerly a 3-stage process is now distilled to a single step. With the hardware and back end removed from data verification, data protection is maximized and more efficient than ever. Why are you uniquely qualified to make this happen? 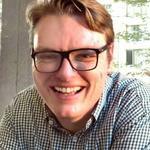 Patrick (CEO) comes from a background in fundraising and has his finger on the pulse of the fundraising landscape. Meanwhile, Johnny (COO) comes from a background in software consulting and brings corporate expertise in solutions delivery. Beyond the core team of founders, Parvenu boasts a chief strategy officer with 2 prior startup exits as well as advisors with in-depth expertise. Have you completed any incubator programs? We completed the SEEDSPOT incubator program, which has provided us with an excellent network of resources, guidance, advisors, and $100,000 in AWS credits. Does Parvenu have an advisory board? Our advisory board consists of a core team of experts. 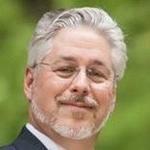 Mike Wakeland is CEO of DialogueDirect, an industry-leading fundraising company. 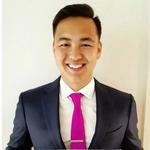 Henry Shi is a serial entrepreneur who spearheaded our initial test launch. How do you choose which nonprofits you raise money for? Retailers already have multiple nonprofit partners that they align their brand with, but until now they could only raise money at checkout for a single cause. Parvenu’s platform enables the retailer to ALL of the retailer’s nonprofit partners at once. What if AmazonGo becomes commercialized? How will Parvenu adapt to payment trends? We expect it to! Parvenu is developing an omni-channel platform in order to provide for the retailer’s needs as payment processing shifts to an increasingly mobile system. How does Parvenu’s platform compare with similar retail fundraising campaigns? 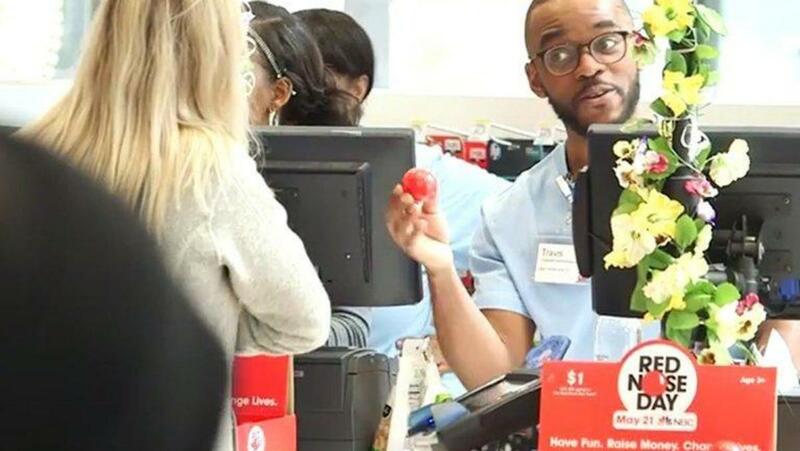 One of the most popular retail campaigns is Walgreens’ Red Nose fundraiser. This campaign sells red nose accessories to raise money for children in need. However, half of the donation goes toward overhead spending in order to pay for the red nose accessory. Parvenu takes a base transaction fee as low as 10% - a fraction of the cost, and engages the shopper more effectively. What are you plans down the road? As we develop our platform, our ambition is to not only provide a shopping experience at the point of sale, but to engage the shopper throughout the entire process. 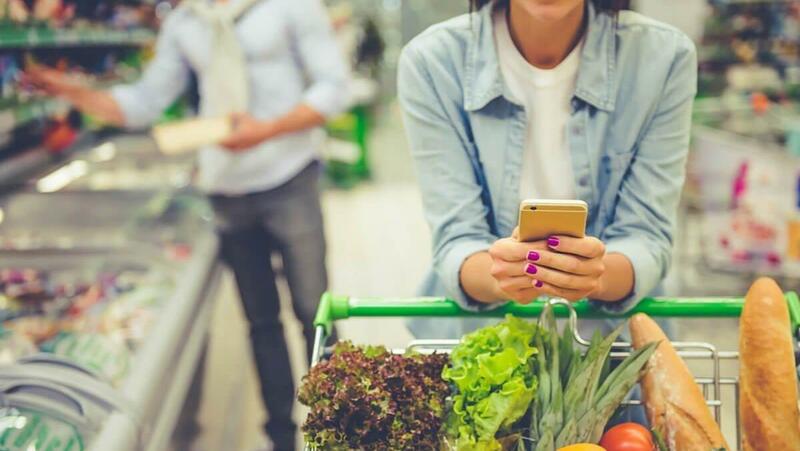 Through beacon and geo-fencing technology, we will be able to communicate through shopper’s mobile devices by presenting them with causes they care about and offering incentives through the retailer’s loyalty rewards programs. 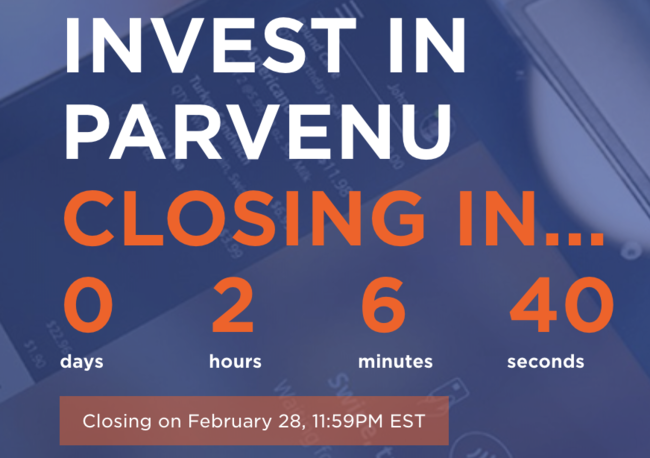 Parvenu has financial statements ending December 31 2017. Our cash in hand is $0, as of May 2018. Over the three months prior, revenues averaged $0/month, cost of goods sold has averaged $0/month, and operational expenses have averaged $0/month. Shoppers are loyal to brands that can deliver a personalized experience. 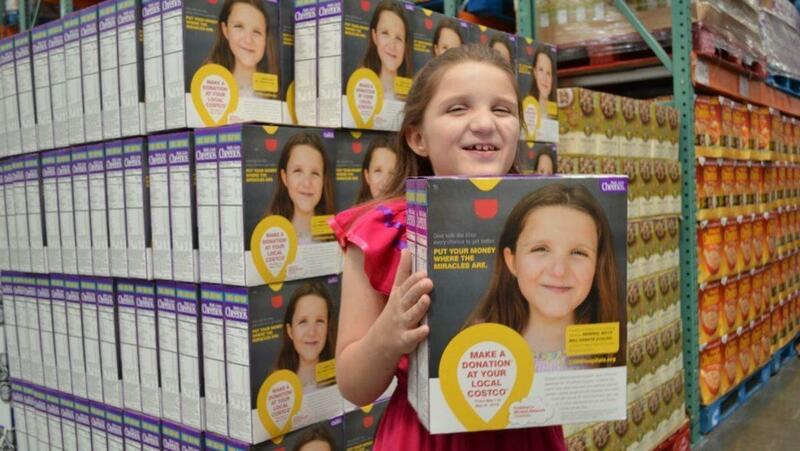 Until now, a grocery store would only raise donations for a food-related charity. Our platform makes the ask personal; it asks the mom getting diapers to give to the children’s hunger charity, the lady behind her grabbing dog food to donate to the local animal shelter, and the man refilling his dad’s medicine to donate to research for a cure. Our vision is for Parvenu's fundraising platform to become an essential component of chain retailers' loyalty programs. Shoppers will be rewarded for giving in-store, online, and on mobile; retailers will be rewarded with loyal shoppers. Everywhere there is the retail business, Parvenu is compatible. We dream of creating a true culture of giving to create a social impact that transforms routine shopping into a meaningful experience. We are using technology to create a movement for social change! 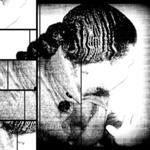 Parvenu Fundraising, Inc was incorporated in the State of Virginia in December 2017. Assets. As of December 31, 2017, the Company had total assets of $1, including $0 in cash. Net Loss. The Company has had net losses of $1,010 for 2017. Liabilities. The Company's liabilities totaled $1,003 for 2017. We will likely require additional financing in excess of the proceeds from the Offering in order to perform operations over the lifetime of the Company. We plan to raise capital in 12 months either from traditional VC's or through another crowdfunding campaign. Except as otherwise described in this Form C, we do not have additional sources of capital other than the proceeds from the offering. Because of the complexities and uncertainties in establishing a new business strategy, it is not possible to adequately project whether the proceeds of this offering will be sufficient to enable us to implement our strategy. This complexity and uncertainty will be increased if less than the maximum amount of securities offered in this offering is sold. The Company intends to raise additional capital in the future from investors. Although capital may be available for early-stage companies, there is no guarantee that the Company will receive any investments from investors. Parvenu Fundraising, Inc cash in hand is $0, as of May 2018. Over the last three months, revenues have averaged $0/month, cost of goods sold has averaged $0/month, and operational expenses have averaged $0/month, for an average burn rate of $0 per month. To date, the company has been financed with contributed capital from friends, family, and founders. Our intent is to be profitable in 8 months. We have this expectation based off of a pilot we ran as well as future business projections from retail store research. Since 2017, our operating costs have increased. 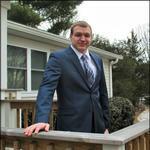 Our expenses now include office rental, personnel, licenses, and other one-time expenses. With the completion of a successful crowdfund campaign, we will see an increase in expenses over the next 3 - 6 months, as we allocate funds to marketing and development/hosting for our platform. If we are fully capitalized, we expect expenses to reach $50k around month 6. Although we can't guarantee it, we also expect revenues to catch up with expenses at month 8 after we begin generating revenue in month 5. We expect to be pre-revenue for the first 4-5 months of operations while we build out our MVP. The total cost of the project to reach profitability is estimated to be $250k. In lieu of a successful fundraise, the founders will continue to bootstrap the operation, contribute the capital themselves, and look for other sources of capital. An investment in the securities offered hereby is highly speculative and involves a high degree of risk. You are urged to carefully consider the risk factors described below and to retain your own professional advisors to review and evaluate the economic, tax and other consequences of an investment in these securities, and you are not to construe the contents of this Memorandum, or any other information Parvenu furnishes, as legal, financial or tax advice. These risk factors are not intended to represent a complete list of the general or specific risks that may affect Parvenu and its business. 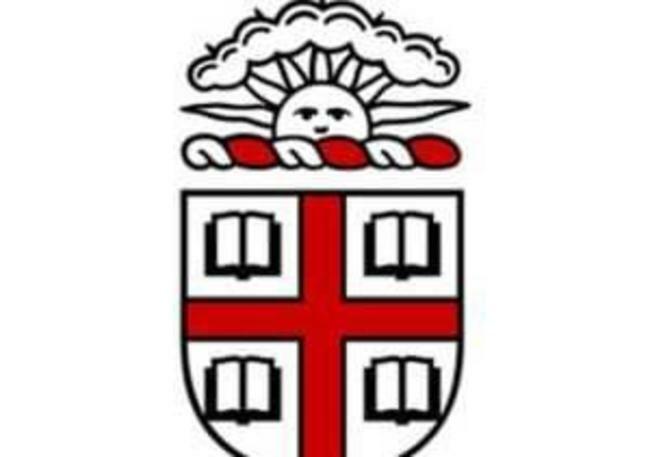 There may be other significant risks, now or in the future that are not described herein, and the risks listed below may affect Parvenu to a greater extent than indicated. Additional risks, including those that are currently deemed immaterial, may also have a materially adverse effect upon Parvenu, its operations or financial condition and/or an investment in our securities. If any of the following risks occur, our business, financial condition or results of operations could be materially and adversely affected. You should be able to bear a complete loss of your investment. The company relies on third parties for many aspects of operations. Any interruption in availability of these services could negatively impact our own services. As first to market in the US for personalized giving at POS, we can expect future competitors to emerge. Our intellectual property may serve as a barrier to entry for competitors if our patent application results in an issued patent, but this may not occur. Handling financial data is heavily regulated by PCI compliance. Security threats and cyberattacks are a risk. We mitigate this risk by using third party payment players to tokenize sensitive data and reduce risk and lower the burden of PCI compliance, but still consider this a risk as technology is rapidly evolving. Rules and regulations vary by state and may change. While we will rely on our legal counsel and on members of our advisory board to provide industry insights into regulation changes, this still poses a risk to the company. Amazon Go may become commercialized and sold to retailers, making checkout counters less relevant. Shoppers may not like the pre-checked donation box, which poses a risk to the model. Having tested pre-check across 5 stores, we got a 25% success rate with 0 customer complaints, compared to the 8% success rate of campaigns that ask yes or no questions. If we receive pushback in the future, we can allow retailers to disable the pre-check feature. Retailers may not want to raise money for new causes and dilute the causes they already care about. As a startup organization, the company is still very dependent on its co-founders. If anything catastrophic were to happen to the company's founding team, the future of the company may be compromised. Krista Conley, Business Development Manager, is also part-time officer which may inhibit the company's growth compared to if she was a full-time worker. The company currently has more liabilities than assets so investors are unlikely to be returned any capital should the company close down. 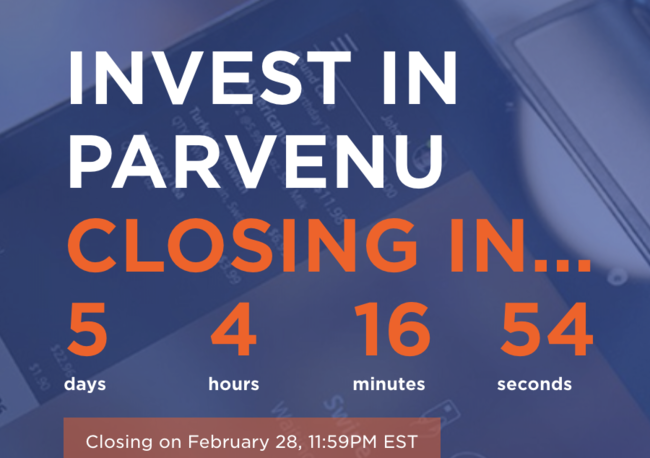 Parvenu is an early stage company incorporated on December 22, 2017. Accordingly, our operations are subject to all the risks inherent in the establishment of a new business enterprise, including potential operating losses and also no generated revenue to date. While we have run pilots with retailers before, this does not guarantee we will be able to expand our business far enough to generate meaningful revenue. This is a related party loan from members of the LLC to the company. Although there is expectation of repayment in the future as the company generates revenue, but there are no formal terms. $76,000 10% -- development of MVP demonstration project, along with 5 month rollout plan 45% -- salaries for employees 40% -- legal and misc. 5% -- Wefunder intermediary fee. I don't have much money at the moment or I would have invested much more. I just couldn't let this opportunity pass without showing some support. I believe in your team and vision. I wish you all of the best as a company and hope that it can be a part of real, positive change for the world. Stacy and I are excited about your company and pray it will be used for much good to help meaningful causes and people in true need. 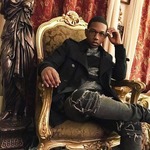 We admire and appreciate your vision for Parvenu and all the hard work that must be put in to realize that vision. 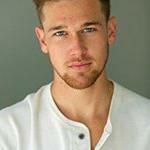 Patrick - Love the work you're doing and totally believe where you're taking Parvenu. Let me know how SEED SPOT can continue to support. Hi, I am Founder/CEO of DriveMind (self-driving delivery vehicles). I have 20+ years experience as a digital signal processing and embedded computer system design engineer. Good luck! Hey guys, I know it's not much I I hope you guys can use it to do some good in the world. I would love to see your technology in my growing hometown of Lynchburg Virgina some day. Hi Patrick, big fan. Not sure if you remember but I'm the guy who asked you in 2016 if he could translate part of your book into Italian for his graduation thesis! I'm venturing into the startup world myself too, we are making a social game app, but I have no doubt you'll be able to put this money to great use! Hope to meet you someday, hit me up on facebook anytime or send me a mail at banderagio####@gmail.com Best of luck and take care my friend! Hi, I am well educated, have many years of IT experience as a CIO, have many years of IT Security experience as a CISO, built Circuit City’s website and backend (interfaces to credit card processors and Circuit City’s Bank), severed as a computer expert in the Legal System by giving court testimony in front of Judges and Juries. How do you see me helping you? I am a small investor that like technology and this company looks good for the future. Good luck. I couldn't invest much but it's better than nothing! 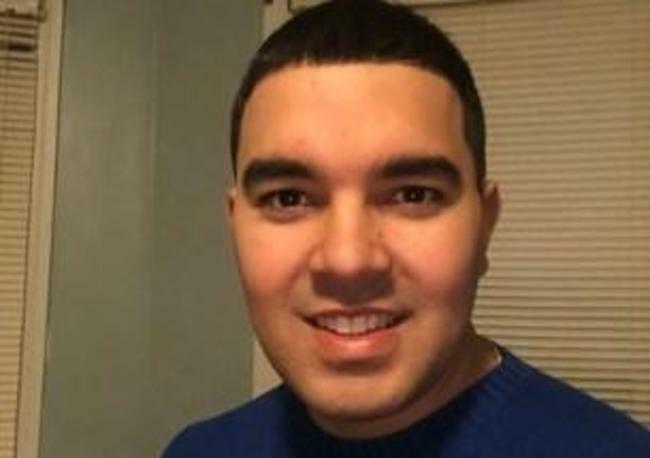 William Serrano-Colon, Network Engineer and CyberSecurity Professional. 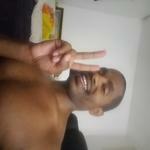 Hi fellas, My name is Fili Luna and I applaud you for the work your doing and creating. I invested because I believe in the product, the people, and the plan. Good luck gentleman, Excited to be a part of Parvenu! 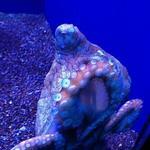 Thanks for vouching for Patrick! If you'd like to invest in Patrick, please open an account. We'll waive your fees if you do it now. We asked Patrick for 10 personal references. Can you vouch for Patrick?